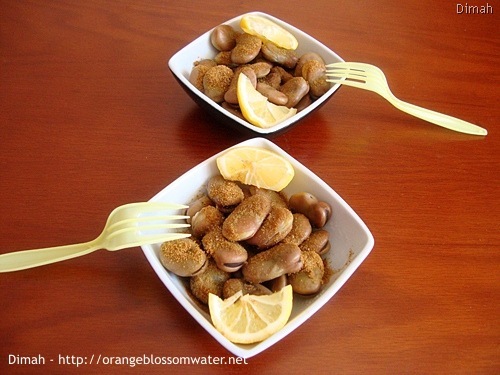 When you go out in the evening in Syria, you will see a man in the street pushing his cart with a huge pot and selling boiled fava beans with cumin, salt and lemon, this is called Foul Nabet. The post is about how to make Foul Nabet, but if you get a chance to visit Syria, I highly recommend to try Foul Nabet from the cart. Laban is the Arabic word for Yogurt, Labneh is prepared from Laban and is known as yogurt cheese, so the word Labneh is drived from Laban. 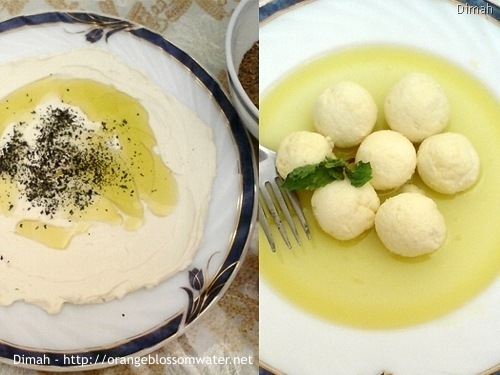 This post is about the types of Laban in Syria, and how to prepare Labneh. ‘Ejjeh is a kind of fritter in Syria. 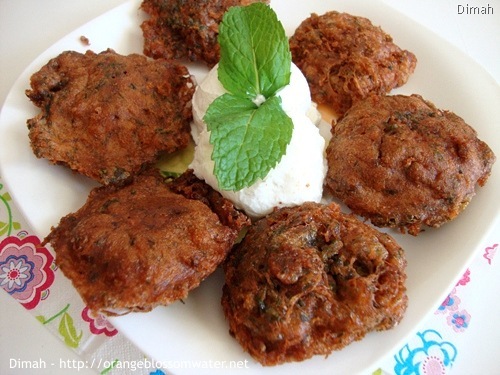 It is simple, the batter is prepared from (onion, parsley, eggs, paprika, salt, pepper, baking soda, and flour), then deep fried in oil, and served with Arabic flat bread, yogurt, and mint. Last post (Mloukhiyeh I) was about how to preserve mloukhiyeh for winter use, Today’s post is about how to cook this mloukhiyeh. 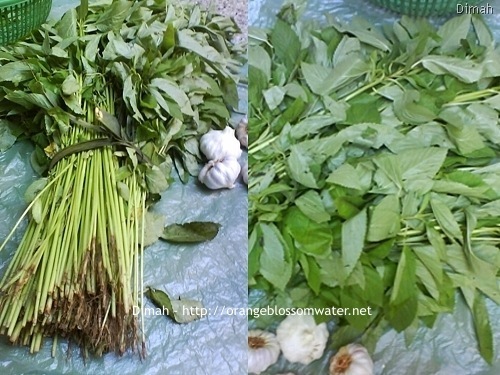 In Syria, there are two ways to cook mloukhiyeh, either whole leaves in most cities, or chopped in Aleppo. 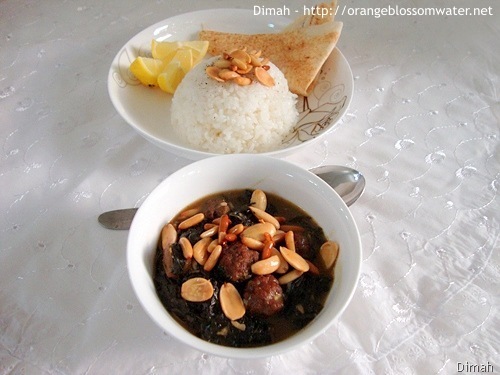 It is cooked with meat or chicken, and served with rice, Arabic flat bread and lemon wedges . Mloukhiyeh is Jew’s mellow. It is available in summer in July, therefore it is used fresh. For winter, mloukhiyeh is dried and stored in the freezer. This post is about how to preserve mloukhiyeh for winter use, and the next post will be about how to cook mloukhiyeh.